When someone decides to quit the job, initially everything seems fine, but eventually they start regretting and get panic for unemployment, it leads to depression finally. They find life hard to lead. They try to search for opportunities, references and every chance that comes in their way. The main issue of unemployment depression is they have very bad economic issues. Though they feel excited to start a new career, for few it ends with unemployment. They keep applying for jobs and few get rejected from all of those who attempted. Unemployment may be due to several reasons, like recession, dissatisfaction with job culture, exploration of other career opportunities, huge pressure, health problems, personal issues. For freshers, it may be due to inability to utilize the opportunities, lack of talent, heavy expectations. Some fail due to their skills, they do not upgrade themselves with new skills and new technology. People give resignation to their job either because of their personal issues or issues with management. In the earlier stage they feel happy, have freedom and enjoy the days for being free from all responsibilities. They have time to sleep for long hours, hang out with friends, watch their favorite programs on television. They do get severance pay, they feel great with the amount which they received for their service in the last company. One enjoys and survive with that amount for certain period. In this stage they actually don’t realize the future consequences. It all starts with economic crisis. If we do job we get paid, economic crisis is the very serious problem that digs every unemployed person. They start realizing the fact that they need job very badly to manage and cope up with the financial problems. They do have to pay for at least self maintenance bills. Some try for part time jobs even though it will be just enough for paying bills and not much sufficient for savings or any other spending. They began to miss the luxury life and problems start arising one by one slowly and completely. They know how much they are depended on job in this stage. There will be no income only spending, and the bank balance converts to zero one day. Many of them feel bad about themselves for the chances they didn’t utilize. They began to regret about their past experience and bad interviews that they have went through in their life. They rewind the story and think about it and waste all the time sitting idle. They do spend time much on that and forget that days are passing and that gives them huge gap in their career and they cannot figure out right justification for it. Finally when they face interviews, they actually don’t find right answer for it and fail to provide proper information to the interviewers. One need to provoke at this time and understand the reality instead of wasting time for the past. They will be in the assumption that everything is going to be sort out till this stage, as the problems starts arriving they feel regret for the unemployment. Now they began to realize that they lag behind in their career. They start following all the updates, they create accounts in all career websites, they hunt jobs in every website and start applying, they grab all job opportunity blogs that appear in every newspaper. Find out references and start urging them to refer for a job. Some pay money to the consultancies to find an opportunity that match with their profile. Every now and then they log in to the emails and check for the updates. They wait eagerly for a chance to knock their door. Some of the employers hold the applicants for a while they take long time to reveal their result of application, and the applicant waste their time relying on it. Applicants with good work experience and good profile, they set some standards themselves before they appear the interview. They ignore the fact that they have a career gap, and they have a bad reason to leave the previous work place. So because of over confidence many of them start bargaining in every interview. This is why many of them get rejected. They forget that they have to take a step back when there is great opportunity after a hectic journey of unemployment over a period of time. One need to utilize best opportunities accepting the fact that they do not actually deserve to bargain when there is back drop on their side. They can expect only when they have reasonable cause for leaving job or being jobless. They feel depressed for their failure in career. Some chose this situation knowingly with some expectations that they can switch to other jobs, after leaving the job they actually fail at every job interview, they can’t accept this failure and begin to get depressed. This is one of the effects of unemployment. Some of them stop trying applying for the vacancies. As they attended many interviews and they failed at each of them, they lose confidence in them. They feel insecure, they began to fail at least things that they are good enough. Also because of the gap they lose their grasping of things, they do panic for each and every thing. They themselves make their task tough and fail at it. Day by day the problems increase. People start becoming jealous of others, they question themselves why others are better than them. They actually think a lot to even spend money on entertainment, they avoid friends, parties, festivals. Both financially and emotionally they began to feel low. They feel shame of themselves, hide themselves to meet friends and close relatives. They are least bothered about what is going around them. They find the bills are affordless. They spend minimal as much as possible. Some apply for loans, and make debts here and there to meet their financial crisis. These all are some negative effects of unemployment. 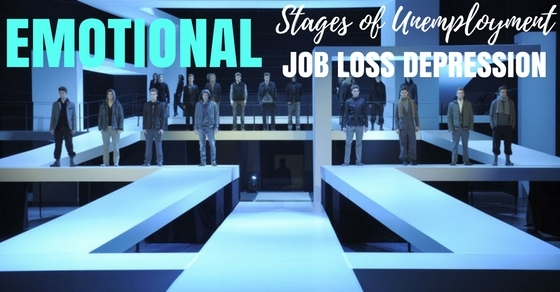 In this stage of being unemployed, they make their mind set to accept any opportunity, they are least bothered about their experience and profile as they have to survive situation and sort out the immediate issues waiting from so long. Some work for online jobs, for which they get paid. Some work in coffee shops and pizza huts or restaurants in order to handle the situation, this may spoil their future and resume. This will spoil their career and they cannot present themselves with such experience in further interviews. They will work for low salary even there is a option to bargain little more. They will accept to work as subordinate if they don’t find vacancy for relevant role. All these happen because of wasting time and choosing wrong offers. Some join the companies on contract basis. Once the contract period is expired again the unemployment cycle starts. These breaks in career costs further, it all depends on how smart you are in taking decisions and smart enough to explore vacancies. In this stage the wrong person will be at wrong place. Some period will be ruined in this way. They will be paid minimum wage and this will not be helpful to grow in career, as it stops to take high remuneration even though one is eligible enough but as per the previous pay roll they will be offered less further. The career starts from zero again. All the efforts and experience will be into drains. Finally they ask for suggestions when they have no option. They began to consult career experts to help them out with the situation. Some seek help from colleagues and friends. If they would have taken this consultation in the starting stage of their unemployment, it would have been very useful to them and they could have managed their career breaks better. They may have a new career after this consultation, but they have wasted time in lack of realization to move further. Very few will be successful at this stage if they contacted concerned correct person, the others may again face new difficulty if they have consulted who is not much expertise in career advice, and the track completely diverts. There is an opportunity for everyone but one have to work hard for it. One should be capable enough to handle the changes in their career. Finally one is going to learn how decisions going to change life. People do not waste time in interviews that are not useful for them, they stop attending the interviews that are not going to bring progress in their life. Began to focus on only the projects that will cherish their career. As they seek experts advice they come up with new dreams and develop positive energy in them. One will stop bothering about what have they done all the time, they provoke themselves with what has be done for kick start of their career. They recollect the reasons for which one got rejected. They make list of all the draw backs. They prepare action plan for it and start improvising them. They come up with valid reasons to say in the interview. They avoid to repeat the same mistakes that they have done in their past interviews. They feel confident about themselves this time, gathering will power to grab the opportunity at any cost. Since they know that, they have no more second chance. Understanding the past mistakes help them to come out of the unemployment depression mode. As they learned so much in life, they will also understand the fact that to be able to survive in the competitive field, they should keep updating themselves with skills in order to grow in their career. Avoid being unemployed and depressed, understand how time is so precious in their career and they should never give chance themselves to create a gap. Before leaving the job they should have a proper alternative to offer otherwise it is very hard to handle the fluctuating situation. Avoiding negativity will help to overcome this unemployment depression, which is the reason for every problem.